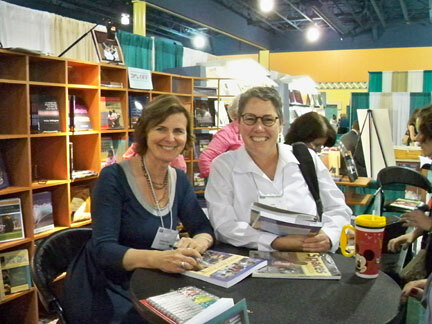 One of my favorite things about going to NCTE is the opportunity to meet new authors and make new friends. 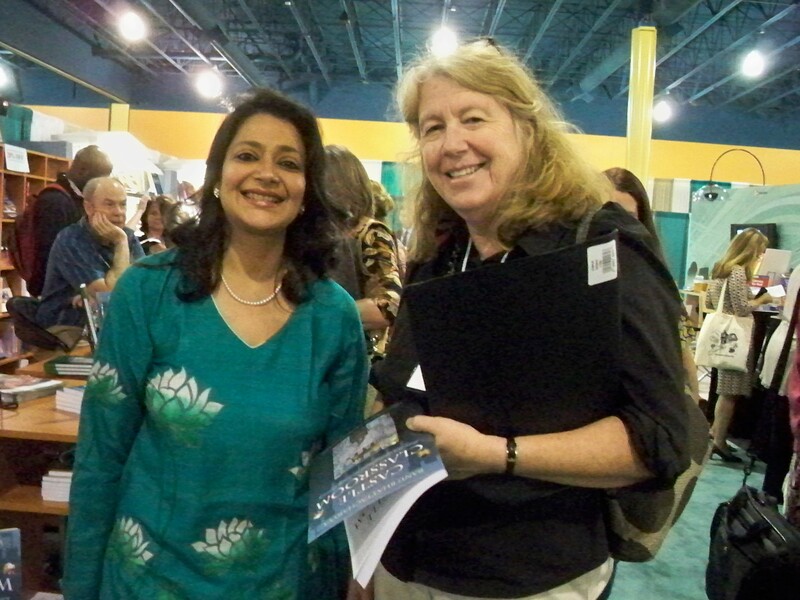 This year I met Ranu Bhattacharyya who was there from Bangladesh where she teaches at an international school. She has taught all over the world and has such interesting stories to tell! 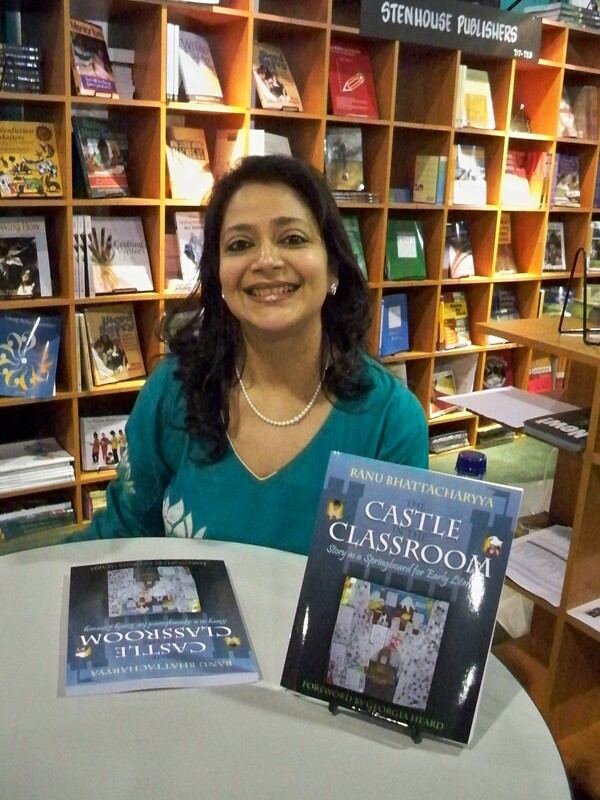 Her new book, Castle in the Classroom, chronicles a year in her kindergarten classroom where children use their imaginations to play, tell stories, and act them out while developing literacy skills as readers and writers. As I read this lovely book, I felt like I was sitting in Ranu’s classroom reminiscing about my early days as a kindergarten teacher. You can browse her book online on the Stenhouse website! 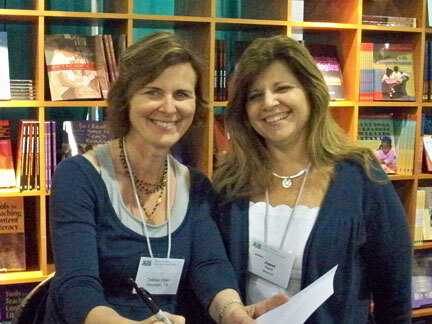 I love getting to meet teachers at conferences like NCTE. 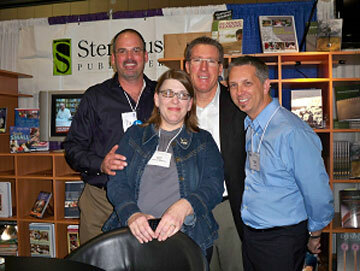 Here are a few photos of people I met as we talked about teaching literacy and I signed books. Thanks to all of you who stopped by to say hello! At NCTE in Orlando I presented to several hundred teachers with my friends, Carol Varsalona and JoAnn Scott from West Babylon Schools (Long Island), NY. Several years ago I worked with their school system to help teachers set up literacy work stations and best utilize their teaching space. In our presentation, Carol shared her perspective as a district administrator in her presentation, “Developing Active Literacy Environments.” Carol is a hands-on admninistrator and often works alongside teachers in their classrooms. JoAnn talked about her work as a principal in “Collaborative Literacy Learning Communities.” JoAnn’s school, South Bay Elementary, was destroyed in a fire one evening last spring. Several days later, they all moved into Our Lady of Grace Roman Catholic Church and set up school using limited resources. Her story was inspiring and reminds of us what’s really important! My portion of the program was about literacy work stations. One point I made is that the practice students do at literacy stations must be connected to quality whole group teaching initially. The better we model and involve the students in that demonstration, the better their independent practice. Also, what we ask children to do on their own must be familiar. I met old friends and new at NCTE, including two teachers from Iceland! Their colleagues have been teaching them about work stations, so they attended our session to learn more. It is truly a small world. 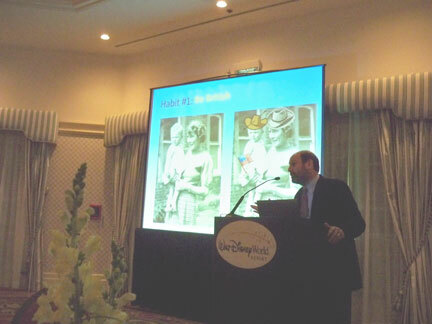 Believe it or not, I have never been to a Disney theme park before the NCTE (National Council of Teachers of English) meeting in Orlando this November! Actually, I didn’t go to the amusement parks, but it was the closest I’ve ever gotten. 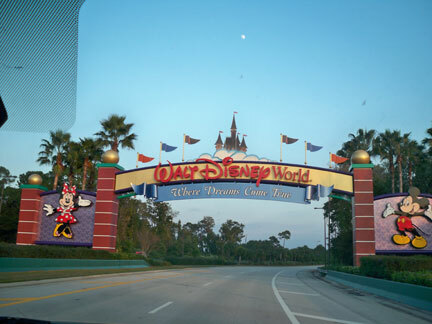 I snapped a photo when we drove through the Disney gates, and Tom commented, “I’ll bet that’s a picture that’s been take billions of times!” But it’s the first time I’d ever seen this famous gate. 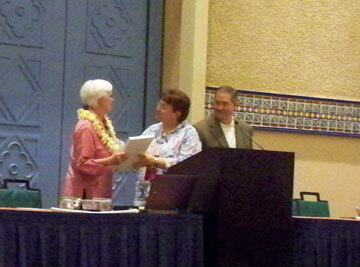 While at NCTE, my editor, and friend, Philippa Stratton, was awarded the prestigious Outstanding Educator in the English Language Arts Award. It was exciting to be there and participate in all the festivities surrounding this event! 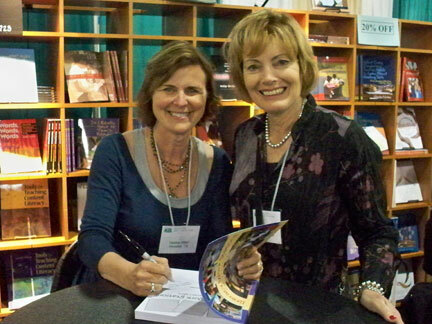 You may not know Philippa, but you certainly know many of the authors whom she has published– Marie Clay, Donald Graves, Lucy Calkins, Shelley Harwayne, Nancie Atwell, and Regie Routman, to name a few of the early ones! 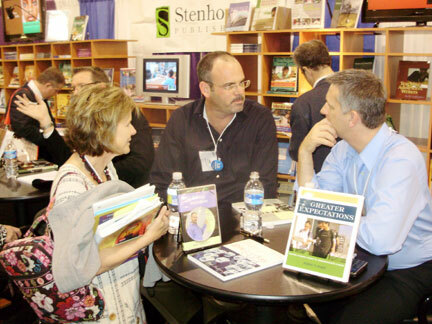 Philippa and her husband, Tom Seavey created the genre of the professional book for teachers in the U.S., starting in 1980 when she moved here from Britain. At this time, I was a young teacher and had taught just a few years. I remember that before Heinemann Publishers was established in the U.S., the only books about teaching were college textbooks. Philippa and her husband certainly changed all that. To read more about Philippa and her amazing life story, read this article. Dan Tobin, General Manager of Stenhouse Publishers, salutes Philippa at a special post-award celebration and questions her "Britishness"
So he is always smiling south. I couldn’t seem to make his ears. But they are big ones for his size. 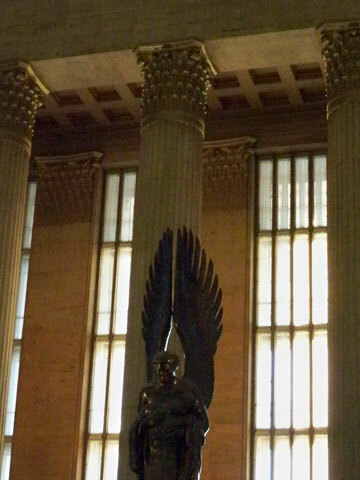 This is a bit late, but I just wanted to share some more of the fun times I had at NCTE in Philadelphia. I saw old friends. Made some new ones, too. 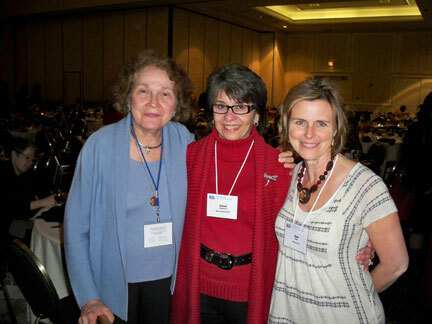 A big thanks to Laura Robb and Carol Varsalona with whom I presented a session on Saturday. 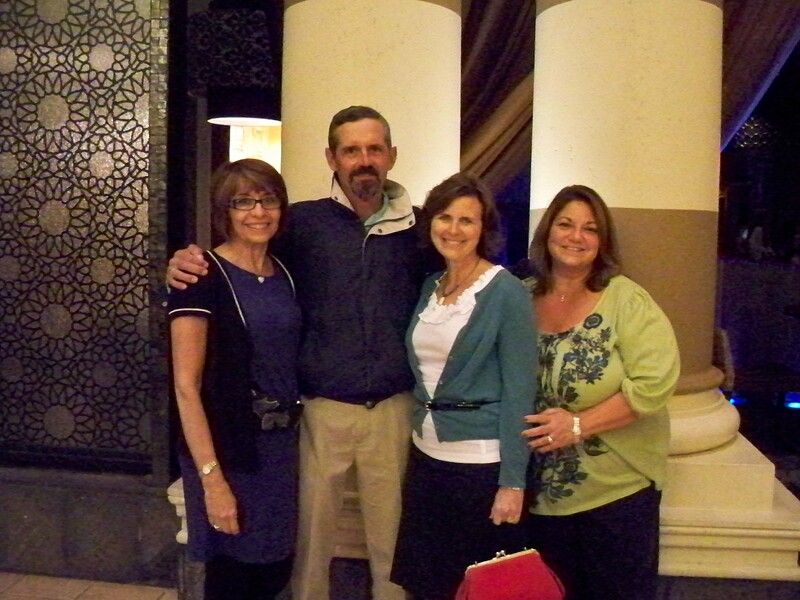 They are fabulous educators who care deeply about children and learning to read. 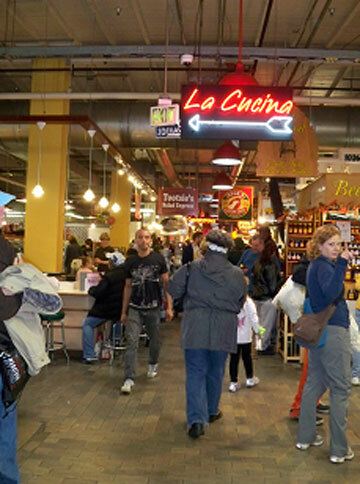 It was great to be back in Philly and be able to walk across the street from the convention center to Reading Terminal, a huge farmer’s market. 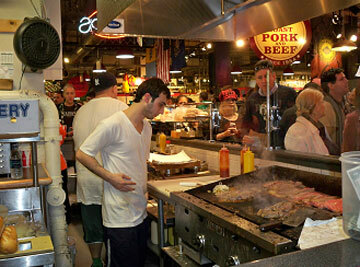 Enjoyed Philly cheese steaks with my editor, Philippa Stratton. She’d never tasted one before and was an immediate convert. They are delicious! 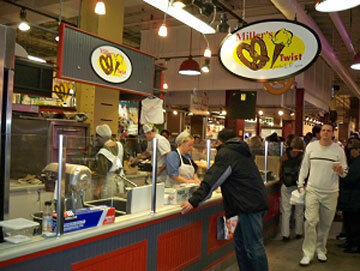 There is nothing like a soft pretzel made by Amish bakers!